Come join us with our new 'Fun Fridays' regime. 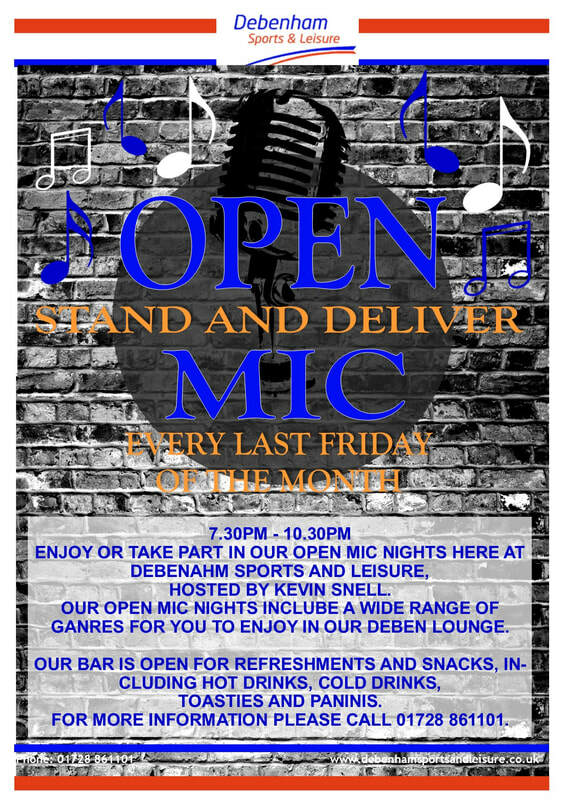 Where every Friday we have something for you to enjoy, here, in The Deben Lounge. Fun Fridays will be starting in March! If you are interested in any of our 'Fun Fridays' and would like to book, please call 01728 861101, where a member of staff will be happy to help. ​Booking is advised but not essential. Enjoy our once a month Pizza Night here in The Deben Lounge. ​We have a wide selection of pizzas for you, your family and friends to choose from, including a choice of thin and thick base, to suit every pizza lovers needs. ​There is games and colouring available for those with children or even adults that fancy a game. Feel free to help yourselves or bring your own favourite game along. ​Pizza Night Menu is located below. ​To book a table please call 01728 861101. Why not come and test your knowledge in our Quiz Nights! ​You never know, those random facts that you 'just know' may come in handy. ​There is a cash prize for the winning team and a round of free drinks at the bar to celebrate your winning! ​At only £5 per person, including food, why not give it a try, you might be smarter than you think! ​With different rounds every time, including 2 picture rounds during the interval and a music round at the end of the quiz, you never know what could happen. ​To book a team please call 01728 861101. We advise that teams stick to numbers of 4-6. no more than 6 in one team. ​We hope to see you at the next quiz! ​​Bring your family and friends to our family food night here at Debenham Sports And Leisure. ​ Play on any court for £2 for half an hour with a table booked for a meal in The Deben Lounge after your game. ​These courts include the following; Badminton, Basketball, Squash, Tennis, Table Tennis and Football. ​A bar food menu is available, along with a kids menu and desserts. ​KIDS THAT PLAY ARE ENTITLED TO A FREE DESSERT. Enjoy any court of your choice for 30 minutes. These courts include the following; Badminton, Basketball, Squash, Tennis, Table Tennis and Football. After your game, head to The Deben Lounge to recharge with a sharing platter for you, your friends and family. ​This platter will consist of chicken bites, garlic bread, onion rings, chips, carrot, celery and cucumber sticks, a small selection of dips and more. If there is any dietary requirements or additions that you would like to make to your platter, please let reception know before you play. A bar food menu will be available, along with a kids menu and desserts. To book your Friday Food Night please call 01728 861101.